A Boose photo of #26 in action at Houghton in August 29, 1939. 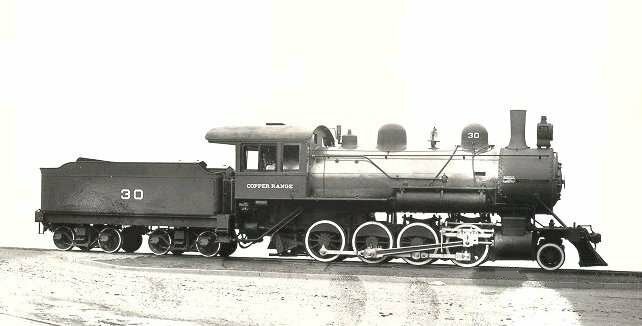 The following is a list of engines owned by the Copper Range Railroad. This list does not include the diesel fleet of 3 loco's as that was not the Copper Range I want to remember. Two of these diesel's engines 100 and 101 should not be confused with the last two entries on this table. The ones on this chart are steam only. If you really want to see the Diesel roster go here. 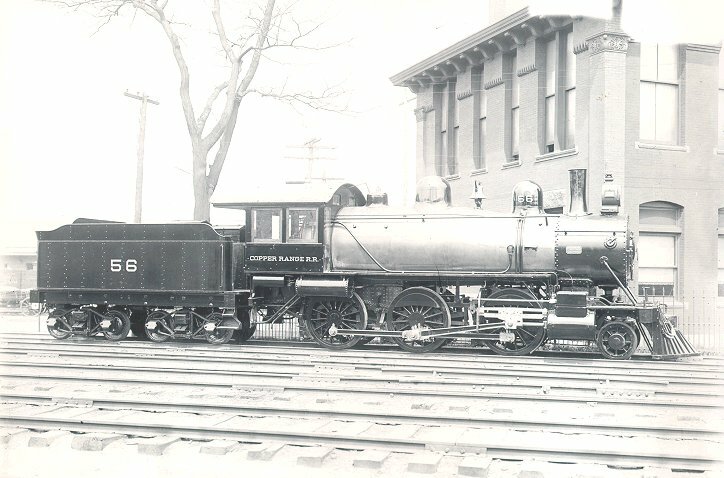 The Copper Range purchased engines from 1899 until 1917. 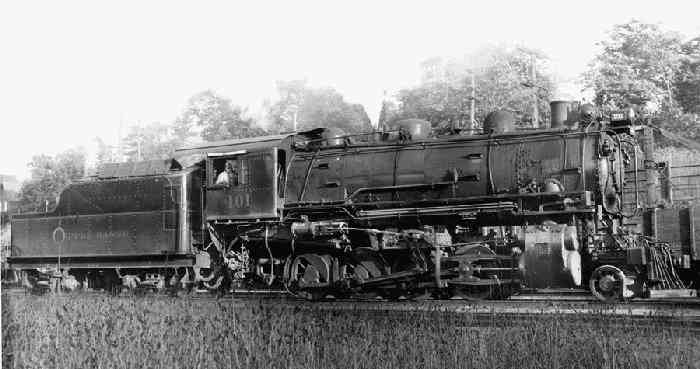 At this time they were running 23 engines until they started scrapping engines in the later 20's. Only #29 survives today at Mid-Continent Railway Museum in North Freedom Wisconsin. 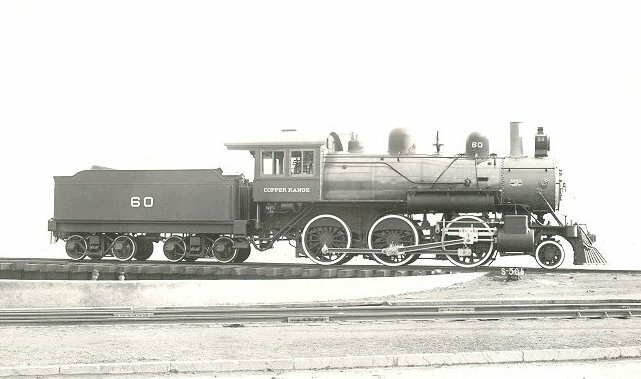 It was used for a short time for the Keweenaw Central, a tourist railroad that ran in the Keweenaw in the 60's and ended in 1971. 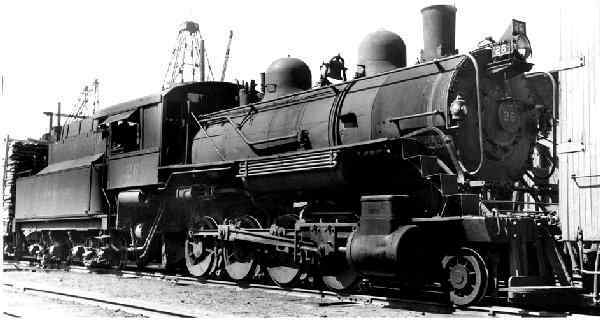 Steam power was the backbone of the Copper Range. 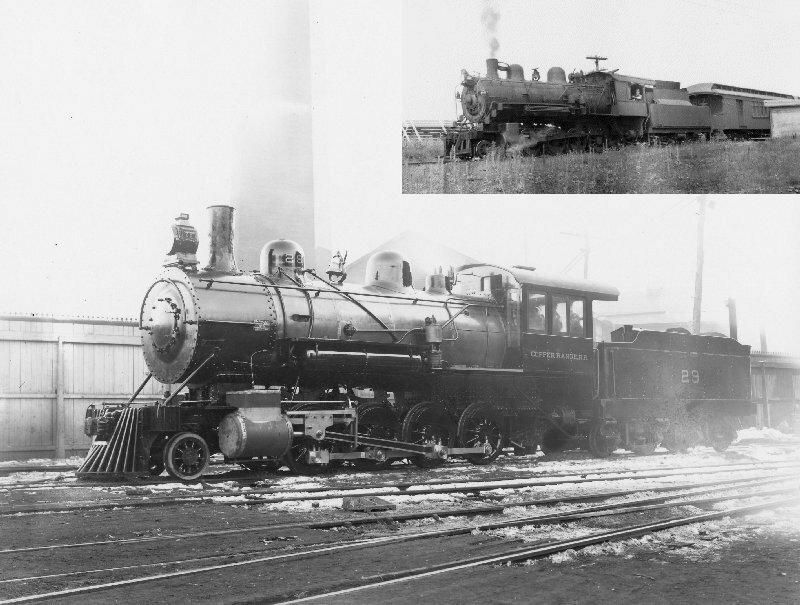 During the peak of operations the Range operated one engine for about every 3 miles of mainline track. It is no wonder they never made any money. 16) #51 was retired 11/22; sold 11/22 to Harry P. Bourke, Excanaba, Mi. ; resold to Northwestern Cooperage & Lumber Co., Gladstone, Mi. 18) #52(2nd) was retired 1/28; sold 9/36 to J.B. Markus & Co. Ripley (Hancock), Mi. ; to Stratton Lumber Co., Atlantic Mine, Mi?